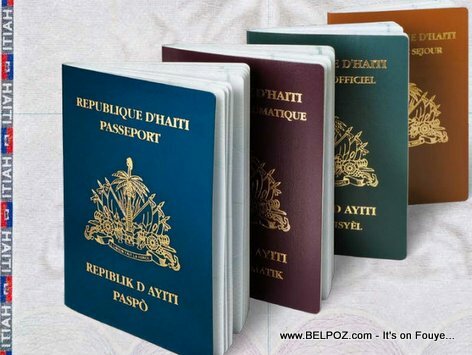 For everyone in Haiti who was impatiently waiting for their Haitian passports, your wait is over... The Haitian Ministry of the Interior just announced that passport books will be available as early as next week at the central immigration office and all passport reception and delivery centers across the country. The German company that produces the Haitian pasports had made a set of requirements to the Haitian state and The Ministry of the Interior had to send two directors to Germany to solve this problem, Director General Fednel Monchery explained. Another ordeal that created a bottleneck in the production of Haitian passports was due to a decision of the superior court of accounts (La Cour Superieur des Comptes) to revise certain documents of the German company which is responsible for the printing of these passports. DG Fednel Monchery confirmed starting next week the central immigration office and central immigration office and all passport delivery centers will be able to deliver passports that are overdue. Very good news but why the Haitian government does not offer the CARICOM passports or are we not part of CARICOM any more?